Presenting a notable collection of contemporary executive suites superbly located in the GTA, clients benefit from free onsite parking, spacious boardrooms, remote receptionists and fully integrated technology. Additional conveniences include tailored lease agreements and exceptional modern equipment. Downtown Toronto is just a short drive away. It is a smart, affordable and easy way to work from home or on the road. These are the best executive suites and services available anywhere in the GTA. 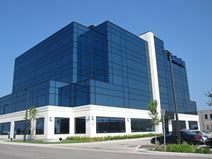 With a northern Toronto location in Maple Leaf, Vaughan this state-of-the-art and exceptionally well equipped and technologically innovative business center location provides a significantly wide range of flexible office space services that are ideal for any professional that wants to avoid the congestion of the city centre while still being close enough to to reap its benefits. Local transport links are excellent and make the center easily accessible for all.